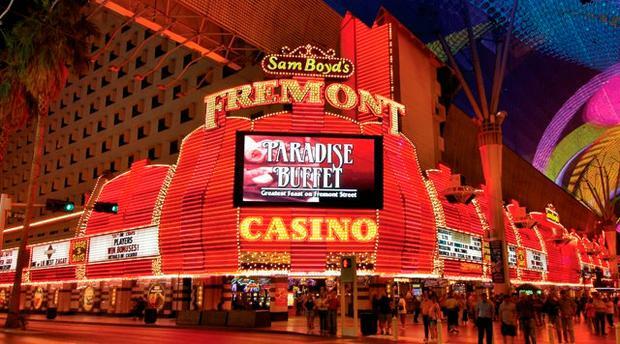 Deal will cover 15 states, bar Nevada, where the US gaming firm owns a number of hotel casinos, including Las Vegas’ Fremont. FanDuel, a subsidiary of Paddy Power Betfair, has entered an agreement with Boyd Gaming to co-operate in the US sport betting and online casino markets. FanDuel will gain market access for its sports book and online gaming products in several American states in the deal. In return it will provide Boyd Gaming with technology and related services to operate Boyd Gaming-branded mobile and online sports betting and gaming services in those states. The agreement will cover all US states where Boyd Gaming currently holds gaming licences, excluding Nevada. As well as this, it will cover any states in which Boyd Gaming acquires a gaming licence or market access in the future, including Boyd Gaming’s recently announced market-access agreement with MGM Resorts. FanDuel now has the potential access to 15 states. As part of the agreement, Boyd Gaming will a take a 4pc equity stake in FanDuel and have an option to purchase a further 1pc stake. The expansion comes on the back of a US Supreme Court ruling which earlier this year struck down a federal law that has restricted sports betting there since 1992. The decision permits individual states to pass their own sports betting laws. In July Dermot Smurfit Jr’s Gan announced that it is preparing to launch internet sports betting in New Jersey for FanDuel. The agreement with Gan will allow FanDuel to integrate its sports betting solution with the Gan platform, which is already certified for iGaming in New Jersey. FanDuel expects to launch a website and mobile app offering internet sports betting that leverages Gan’s software later this year. Yesterday shares in Paddy Power Betfair were up 1.2pc on the Irish Stock Exchange.